THE SKINNY: Pequi Oil Treatment is a oil treatment for your hair that comes from the pequi, a popular fruit in some areas of Brazil. It's good for moisturizing dry and color-treated hair and protects against UV damage. Use a tiny bit of this oil on either damp or dry hair. This is an OK product, a little heavier than the Orofluido Beauty Elixir. I think it's a good weekend product, when I don't need as much lasting volume out of my hair. After a day of work, my fine hair felt flat and blah. I shared this sample with a friend who has long, fine, naturally curly blonde hair. She liked the effect and that the Pequi Oil Treatment didn't make her hair look greasy or flat. KEEP OR TOSS: Keep. This is a good product for the weekends. 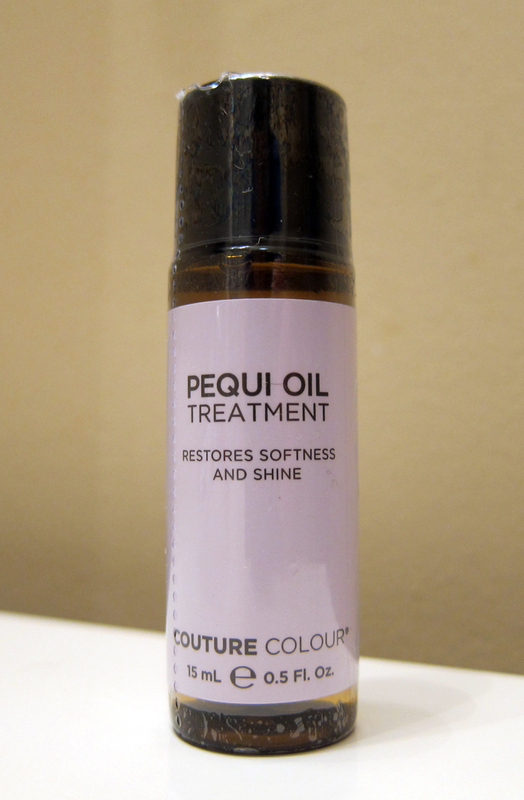 CHECK IT OUT: Who know Pequi Oil Treatment was flammable when mixed with high heat? Be careful if you use a straightening iron.